My friends call me Lalah. 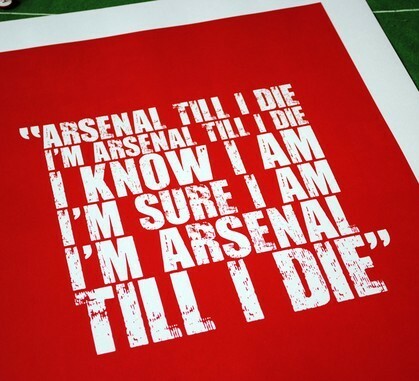 I'm The Arsenal's Biggest Fan! Okay, okay. I know that's one hell of an assertion to make since I've met quite a number of people who are contending with me for that title. Alright, I'll take it down a notch -I'm The Arsenal's Biggest Fan in Nigeria (aka Naija). I've had some of my happiest days as a fan of this great club and lately there's been more to cry about than rejoice about but through it all I've never wavered in my belief in this great club. One thing's going to be different as we go into the 2012/13 season though, I've decided I'm going to blog about my experiences supporting this great club. Sorry, scratch that! 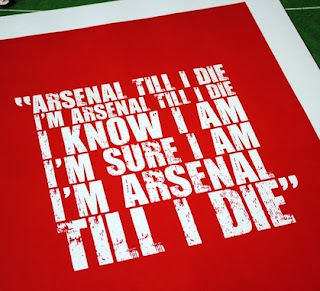 I'm going to share my grief (if God forbid next season ends up like the past seven) -I will not go it alone this time. If as I expect, things change and we have more reason to pop bubblies then I'll also share this with you. From match to match from the 18th of August 2012, my joys and my pains will be shared right here. 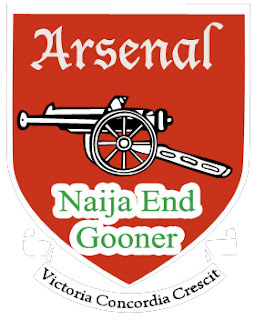 This is the Naija End of the Emirates!